Sony’s plan to explode its Spider-Man universe outward into myriad sequels and spinoffs—all the better to compete with Disney’s Avengers universe, to say nothing of this material universe that only bores with its lack of densely interwoven superhero mythologies—is now more firmly in the hands of Drew Goddard. 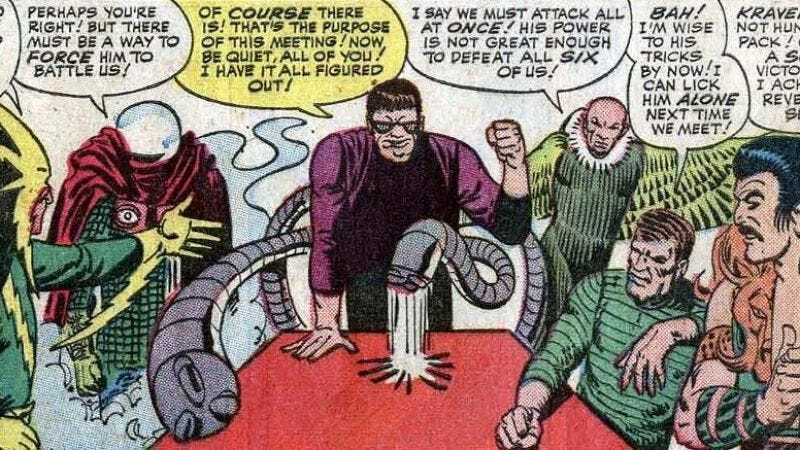 As mentioned in that original announcement, The Cabin In The Woods filmmaker is scripting Sinister Six, and now he’ll also be directing that spinoff about Spider-Man’s foes who get together to discuss their shared distaste for him, like the world’s most evil kaffeeklatsch. Goddard is plenty busy with Marvel projects, having also recently signed on to write and executive produce Disney/Marvel’s new Daredevil series for Netflix. But if there’s anything the worlds of television, film, online streaming video, advertising, ancillary merchandise, and pop culture reporting have shown us lately, it’s that you can never have enough Marvel projects.